Our Lord Jesus Christ is the source of life. When He used “the vine” to depict our connection with him it goes deeper. The branch can not survive without the vine. The state of the vine determines the state of the branches. Fruits are birth out of branches. 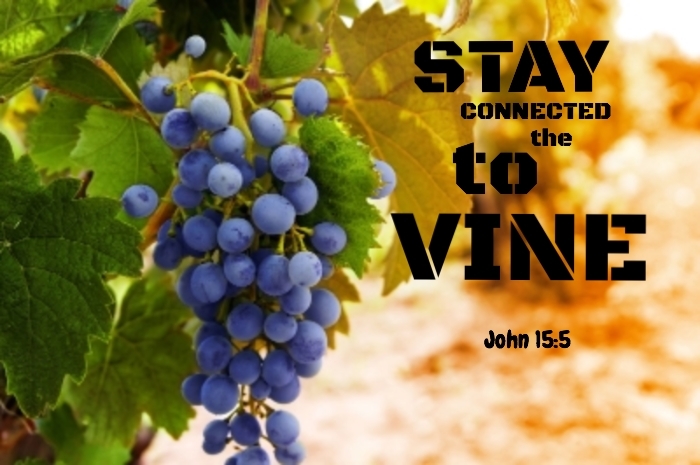 In all, there is a strong interdependency between the vine, the branches and the fruits. Connection is relationship, friendship, attention, acknowledgement, nurturing and care. And it all starts with a desire. Deeper revelations of God comes with a desire, an intense pursuit. When we seek God with a sincere heart, and not for what we can get but for who He His, fruits starts to form on the branches. Are you that branch? I believe you are. Discipline with focus and purpose help us seek God in the quiet recesses of our heart. . To reach and touch God who is spirit can only be achieved by the spirit. Take your time with Jesus serious by engaging your mind, thinking and spirit in conversations with Him. For every moment spent with the Lord, He sends His spirit to mend and refresh our hearts with His love. Stay connected to the destiny designer.